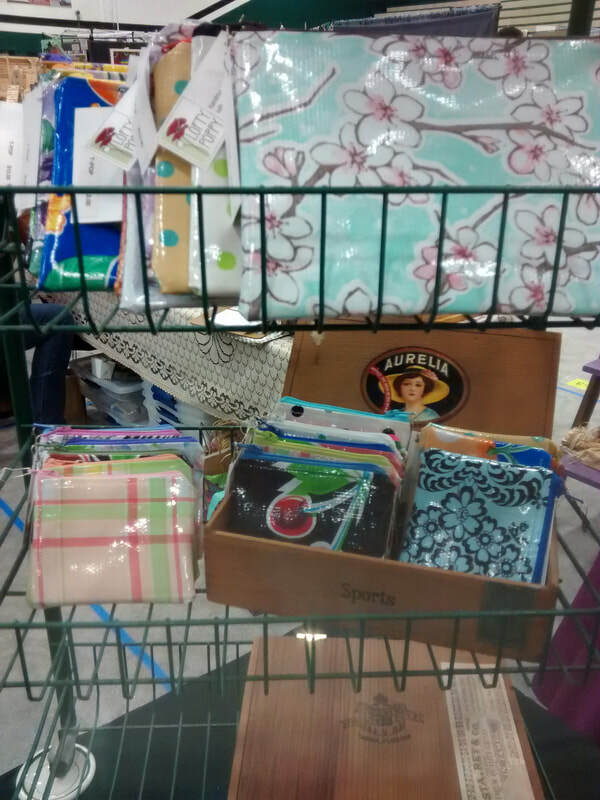 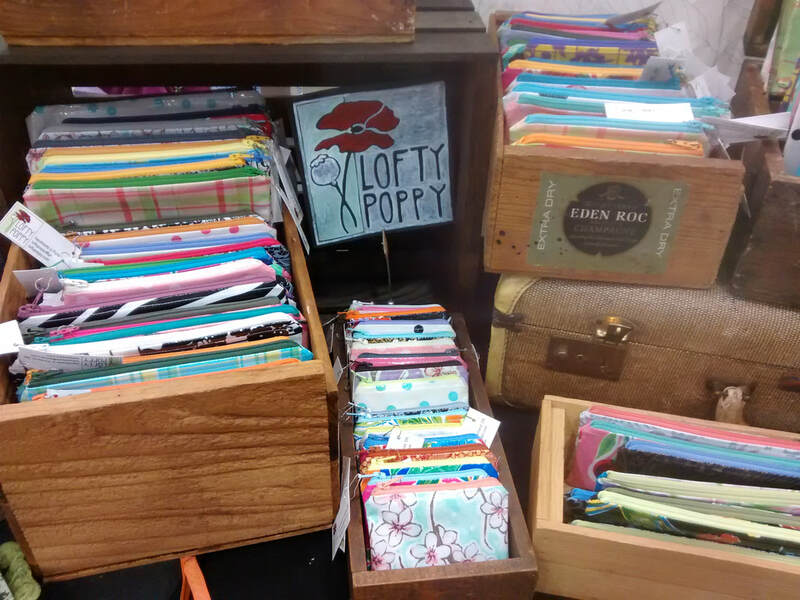 Oilcloth is vinyl on a cotton mesh base. 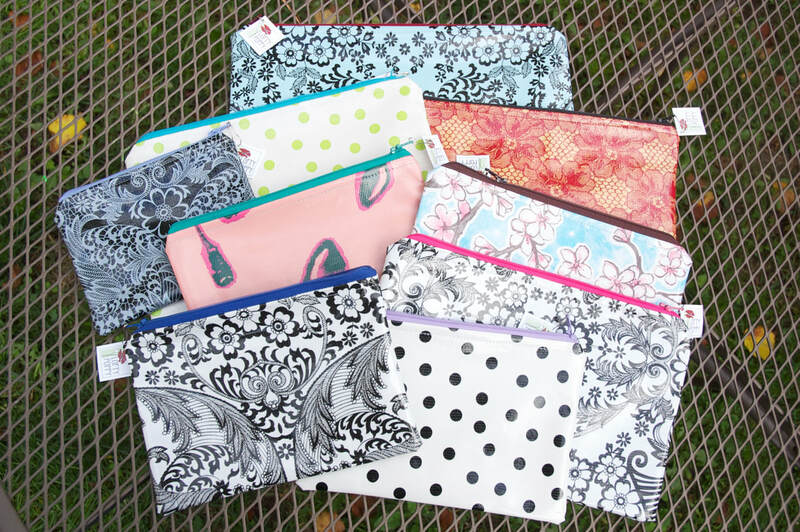 It's a great retro waterproof fabric that comes in many exciting prints. This bonded vinyl is durable and very versatile. 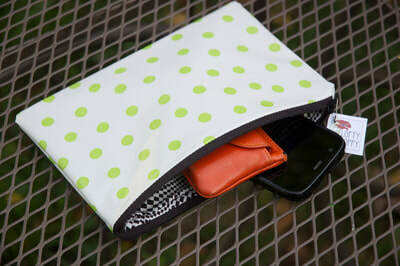 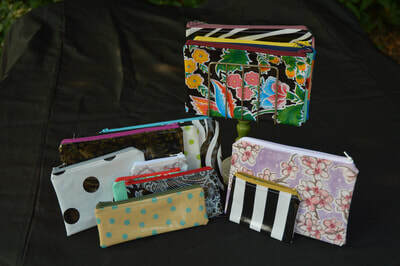 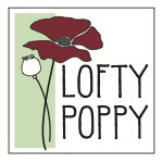 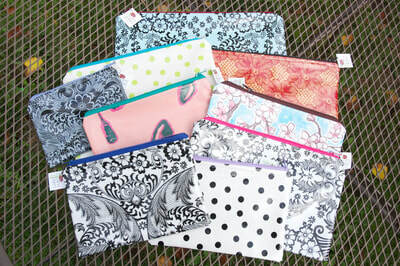 All my pouches are lined with a fun contrasting cotton print and use a high quality zipper. 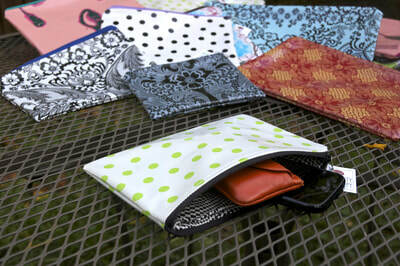 They range in size from a small 3x4.5 that fits cards and cash to a large 9x13, that easily fits a tablet or file.